You must make reservations at least 5 minutes in advance of the time at La Merise. Public parking garage and paid parking garage next to our building.There is ample parking on the public streets surrounding Bon Ami. 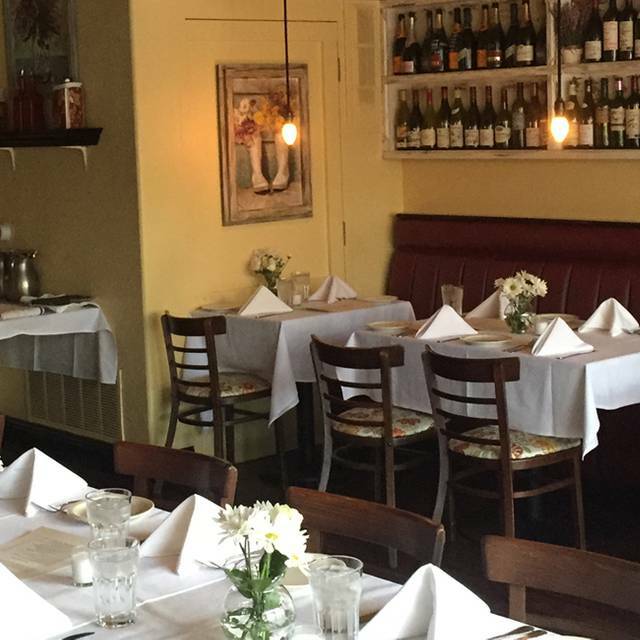 La Merise serves moderately priced French home-style meals in a cozy setting. Wonderful for a special night out, date night, your next event, or just a catch up with friends or family. During the warmer months, food and drinks may be enjoyed in our garden patio. 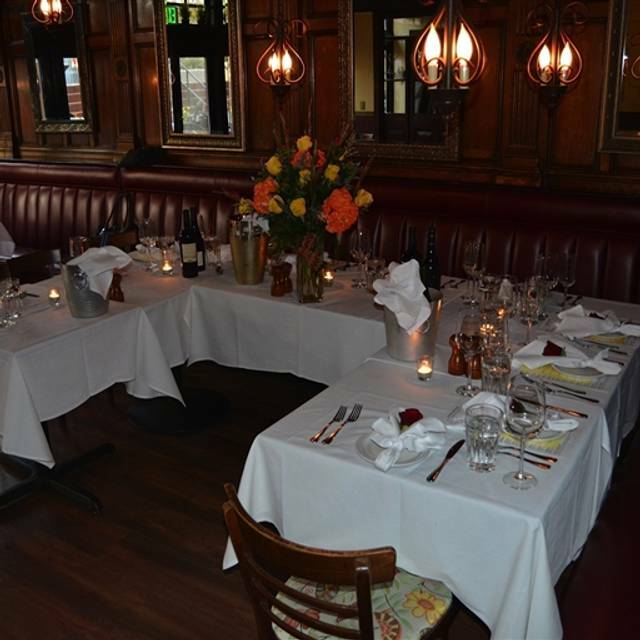 La Merise is located in Denver, Colorado and offers authentic French cuisine in a bistro setting. The menu offers brunch selections including crepes, omelets, classic French toast, breakfast pancakes and much more. The brunch menu at La Merise also features a selection of sandwiches and entr�es including a croquet monsieur, chicken croquettes and steak frites. The dinner menu at La Merise offers a selection of appetizers including oysters du jour and escargots de Bourgogne. The menu also has a selection of soups and salads available as well. 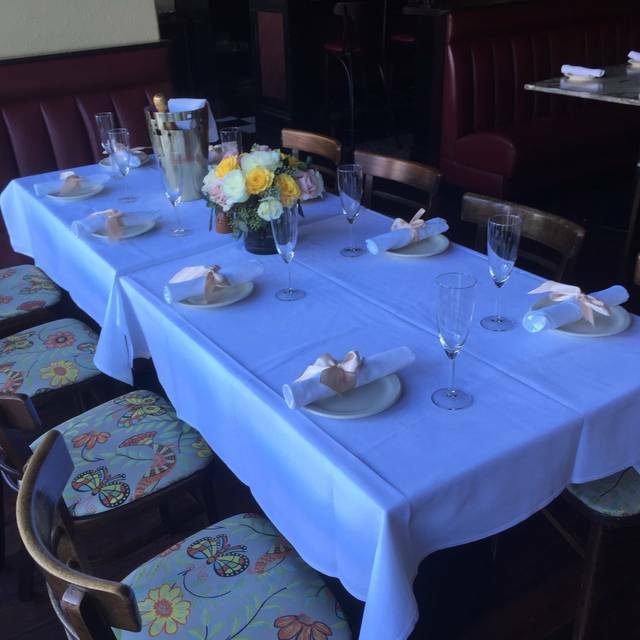 Entr�es include lamb chops Proven�ale, beef bourguignon, steak au poivre, pork medallions and chicken coquettes. Roger is the best waiter! Makes it seem like Paris. The food was excellent, the staff was attentive, the other guests were friendly, and the owner is always so kind! Thank you for the wonderful experience. La Merise is a jewel. The owner, staff, chef - the entire team always go out of their way to deliver value - great food, great service, great ambiance. Easter Brunch was no exception to all the lovely meals we have shared with friends and family at La Merise. Crepes - steak - great bottle of Rose . . . and excellent Easter. Thank you. This restaurant presents a very typical bistro ambience right in the middle of Denver. We had a really fun family night out to celebrate my daughter‘s 19th birthday. The waiter seemed busy and somewhat distracted, but did a fine job taking care of our table. Our family likes to share everything, and we really enjoyed both the escargot and foie grad appetizers. Both were very nicely prepared and very delicious. Our entrées were also outstanding. The special, double pork chop, wAs incredibly well done. One of the best entrées I’ve had in a long time. We also enjoyed three desserts to top off the evening. The restaurant is a little bit loud and the chairs are very uncomfortable. But, overall, we had a fabulous evening and this is a fun French bistro for a nice night out. Great food and exceptional service almost make you forget that you are dining subterranean. It's a cozy, friendly place. I am a graduate of Cordon Bleu in Paris, and this is my favorite restaurant in Denver. It is intimate, relatively quiet. The ingredients are high quality, well prepared and presented food, and appropriate portion sizes. Good wine list. Excellent service. It is consistent and a pleasure to dine there each time! 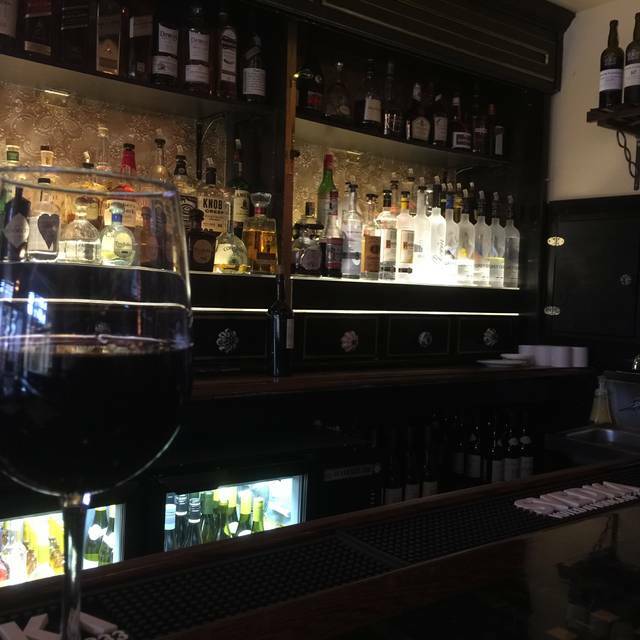 We enjoy the food, the service, and the French bistro atmosphere here so much that we stop in nearly as often as we eat out. For years, it has been our go-to place to meet friends, spend holidays - Halloween was fun - and treat visiting family. The menu is gratifyingly varied. Yesterday lunch, the trout Grenobloise was perfectly done, smothered in lemon butter. (No problem to hold the capers.) The seafood crepe had no scallops, to which people can be allergic, so my friend could order it. My husband loves their fish and chips. The steak slices in our friend's salad entree were done a perfect medium rare. Order the hot chocolate and get a regular, not liqueur, glass of Grand Marnier to mix in as you wish -- it took our friend 2 hot chocolates. You can, in other words, vary your experience from business lunch to sheer decadence. I really enjoy this little neighbor hood gem. Food is good, service always excellent, good wine list. Delightful in the summer for patio sitting. Happy hour great after strolling through Cherry Creek shops. An exquisite meal, great service, good value.....lovely! The food and service would amazing. We are going back soon. We had a delicious dinner at La Merise last weekend and enjoyed every aspect of our experience. We started with the cheese tray, which was excellent and had four different French cheeses along with crostini and fruit. The presentation was excellent and our fabulous waiter Roger did a wonderful job of explaining each type of cheese. We then each had tasty salads - one Caesar and one Gorgonzola which were both fresh and filling. I had the French onion soup for my entree and my husband tried the vegetarian pasta, which he loved. He had a glass of house wine for only $6. We thought the food was excellent, the service terrific and the ambience very nice. We will definitely be back in the near future as the dinner was a a great value for the amount and quality of food and service we received. Well done!! The food was a absolutely wonderful. I’ve had the croque madame twice, and it is exceptionally good. My husband had the Florentine breakfast crepe, and it was also very delicious. We look forward to returning for dinner and dining on the patio this summer. The waiter delivered excellent service. He returned just enough times to take care of us but did not hover. The atmosphere and decor is quaint and reminiscent of cafes in Paris. Really good French cuisine is hard to find in Denver; most restaurants add a continental or American touch to the menu. I highly recommend Le Merise! We love La Merise. The service is always terrific and the food good and consistent. 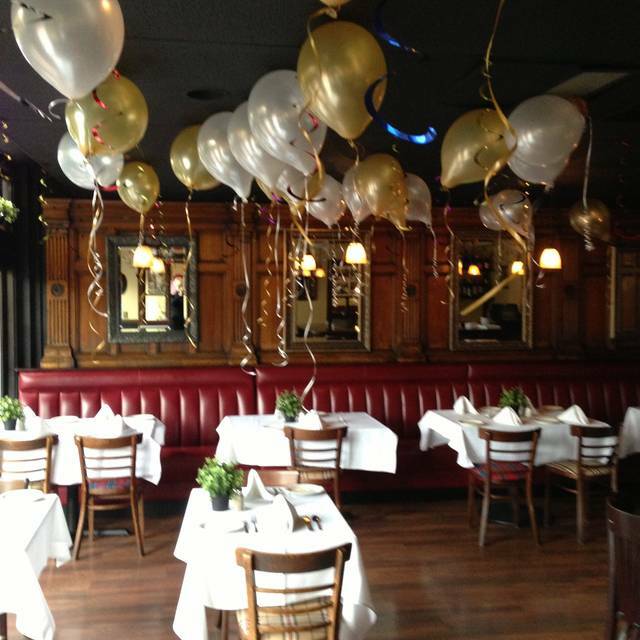 !its a great place to celebrate a special occasion. Always a lovely meal, I’m anxious for the outdoor space to open. Anniversary. We were treated like royalty. Loved it. Had been before for Valentines Day and other occasions. We’re never let down. Danielle our server was fantastic. We fell in love with her. Six of us for a birthday celebration had a great dinner and overall experience! Food is wonderful as is the service and ambiance. The people are so nice, and it is so comfortable at a table the bar. If it is just the two of us dining we love to sit at the bar. The two people working the bar could not be nicer. La Merise has become our favorite restaurant. It truly is a special place. This is my favorite restaurant. I love everything about it. 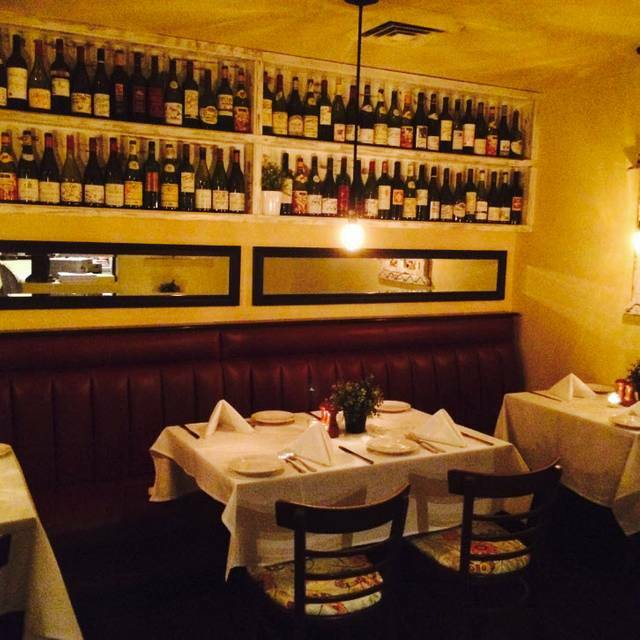 We've loved going to La Merise (and it's sister restaurant, Bon Ami) for years. We've come to know the staff... all friendly and welcoming. The food is wonderful. The restaurant is quiet... a nice break from places where you have to shout at your dinner partner to be heard. Our only concern: we have to make reservations to ensure a table... it's become that popular! Incredible atmosphere, food, service, environment, just a great place to visit, very romantic as well. Expensive though, but if you don't mind the money or are just looking for a special occasion, this is a great place to go. Delicious food; had the red snapper special. Server very attentive. 1/2 price wines on Sunday. We came in for brunch. The asparagus & crab soup was pretty lackluster, but otherwise, everything was excellent, including the service. We are looking forward to coming back for dinner. Hopefully there will be at least a couple of vegetarian options. We love 'country French' food, and La Merise does a lovely job. The menu is varied, so lots of choices and approaches for everyone. Several of us had the salmon on sautéed spinach with an orange sauce, it was delicious. I did ask for the salmon to be somewhat medium rare, which I did not get, but it was excellent anyway. My husband had the lamb shank, which he loved. Good wine choices, nicely priced. Perfect for a small get together with friends. The waiter was very engaging. The petrale sole was astounding and outstanding. The buffalo ribs were very good, but the lemon and garlic Brussels sprouts were my favorite of that dish. Excellent ambiance and food! Engaging waiter. It was a wonderful place to celebrate my wife’s 60th Birthday! Excellent service from Amanda and Alanna. Thank you for making it a special time for our family! Noisy. Tables close together-not conducive to private conversation. Food was tasty. 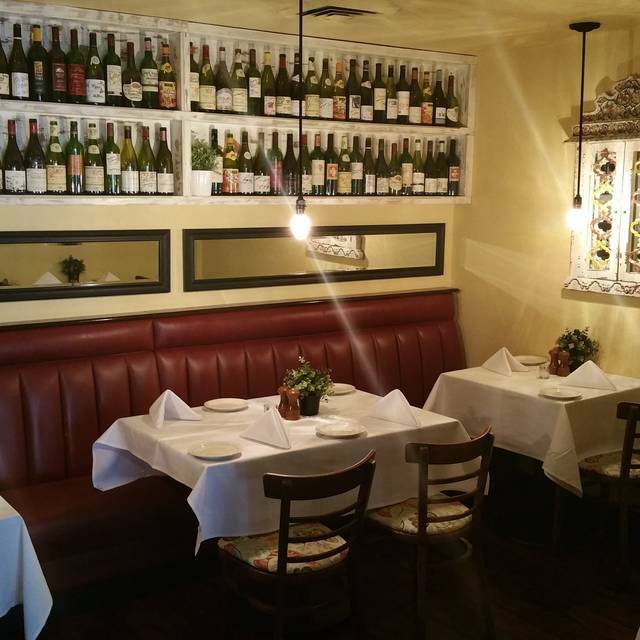 We enjoy dining at Le Merise. Excellent food and outstanding service. Warm reception as we have become regulars. Highly recommended. Another wonderful meal! Elena, one of the owners, works continually to make the experience a great one. We loved the ambiance and would definitely go back! La Merise serves consistently outstanding food. Every course was delicious. We have never been disappointed when dining there. 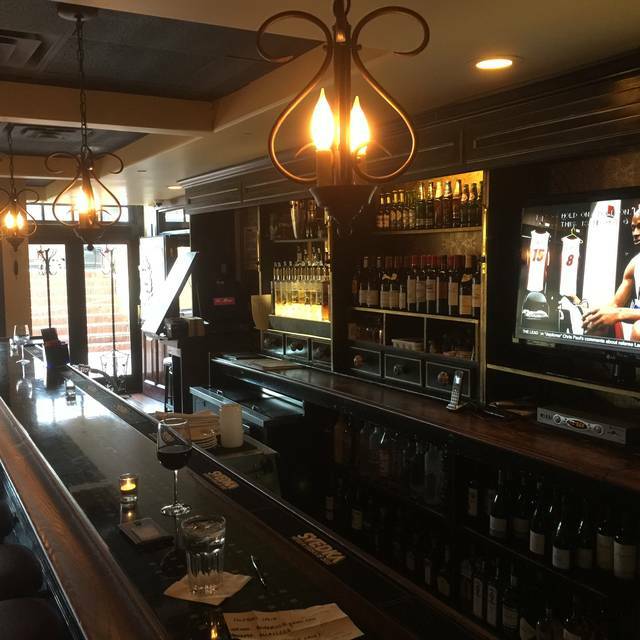 Wonderful place, centrally located in Cherry Creek, with a quaint ambiance, and elegant style. We were a table of six, ordered three appetizers, six entrees, and three desserts, all of which were different. The starters were quickly delivered to the table, and fully satisfied the pallet. The entrees followed suite and were all amazing, and the desserts were delicious without weighing us down. We were promptly met at the door, seated quickly, and served by a very attentive and knowledgeable gentleman. The ambiance, food, and service were perfect. We will definitely be back! 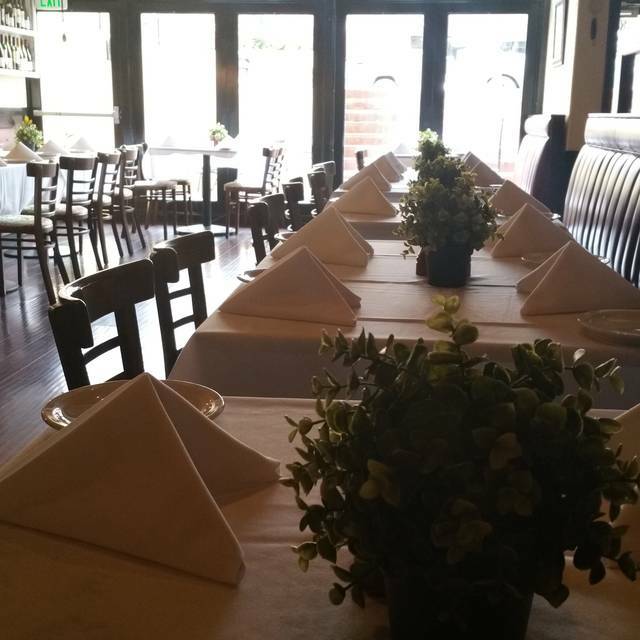 Tables are a little tight if your looking to have private or intimate conversation with someone. Food and service is fantastic. Great food, great service, we love La Merise!